Samsung Galaxy S3 android 4.1.1 & 4.1.2 have been released and free downloading links is available for download from its official server. You can get latest updates of V4.0 if you have installed in your phone. If your mobile is working slow during using you will need to update your mobile firmware. You can use different tools or boxes for doing firmware of mobiles. Flashing tools lets you to do firmware without flashing box through USB data cable. You can update your mobile old firmware from its official site if your mobile can support for updating. While the latest firmware is gradually making way for several Galaxy devices. 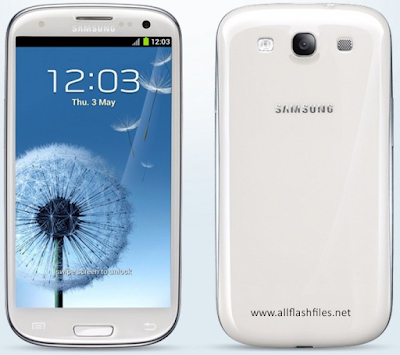 However Galaxy s3 has received a new android 4.2 firmware with extra supporting features. And the update is currently rolling out a number of different countries through OTA via Samsung kies server. If some people wish to install android 4.3 on Galaxy S3 may need to follow the other flashing tips by using Odin flashing tool. Samsung Galaxy S3 can operate android version 4.4.2 kitkat(1747UCUFNJ2). When an update is available for this version you will need to find its official server like Samsung official site. If you wish to flash your mobile with its new firmware you will need to take a backup of your important data like Images, contacts and messages because after flashing you will lose your all of data and your mobile will restored in its original settings. You can restore your backup files to your phone safely after successful flashing. Now you can download latest firmware of your phone from below You can share your feelings with us if you are facing difficulty during downloading.